Robert Herjavec recently considered selling his technology firm, consulted Mark Cuban, and decided against it. Here’s why. A few months ago, Shark Tank star Robert Herjavec thought about selling his global information-security company. He conferred with Mark Cuban, the fellow Shark he made no secret of disliking earlier in the show’s history. “I actually sat down with Mark. I asked, ‘What do you think? Should I sell my business?’ Everybody has a different perspective,” Herjavec admitted to an audience of 1,200 entrepreneurs leading fast-growing companies at the Inc. 5000 conference in Orlando today. Rule No. 1: Think about selling if the amount of money you’re going to get will change your life. This is what motivated Herjavec to sell his first information-technology company, BRAK Systems, to AT&T Canada in March 2000, reportedly for more than $30 million. Rule No. 2: Sell if you don’t believe there’s future value and growth in your business. If the market is declining, or you’re not personally motivated by the business, it’s time to get out. Rule No. 3: Remember that everything has a price. Your only payback is equity. Make sure you’re maximizing it. To come to his own decision earlier this year, Herjavec looked at the amount of money he would make selling Herjavec Group and determined he’ll be able to sell it for more in the not-too-distant future. “I feel in three years we can quadruple the current value of our business,” he said. The market is growing, and the business is growing, and he doesn’t foresee anything catastrophic that could change those dynamics. “I love what I’m doing, and I decided to keep going,” he said. He’s focused now not just on Shark Tank, but on taking Herjavec Group, with headquarters in Toronto, New York, and Reading, England, to $250 million in annual sales, from $150 million this year. 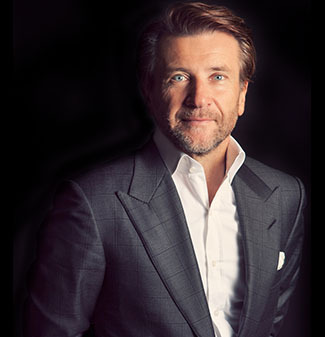 Early in his career Herjavec attended an Inc. conference for fast-growing companies, much like the one he spoke at today. “I came to your conference years and years ago and sat in the audience and listened to some guy I don’t remember, probably some big-business guy thinking, ‘Oh my god, one day that can be me,’ ” he said.